According to current cosmological theories, the Milky Way started to form approximately 13.5 billion years ago, just a few hundred million years after the Big Bang. This began with globular clusters, which were made up of some of the oldest stars in the Universe, coming together to form a larger galaxy. Over time, the Milky Way cannibalized several smaller galaxies within its cosmic neighborhood, growing into the spiral galaxy we know today. Many new stars formed as mergers added more clouds of dust and gas and caused them to undergo gravitational collapse. In fact, it is believed that our Sun was part of a cluster that formed 4.6 billion years ago and that its siblings have since been distributed across the galaxy. Luckily, an international team of astronomers recently used a novel method to locate one of the Sun’s long-lost “solar siblings“, which just happens to be an identical twin! When it comes to exploring our Solar System, there are few missions more ambitious than those that seek to study the Sun. While NASA and other space agencies have been observing the Sun for decades, the majority of these missions were conducted in orbit around Earth. To date, the closest any probes have gotten to the Sun were the Helios 1 and 2 probes, which studied the Sun during the 1970s from inside Mercury’s orbit at perihelion. NASA intends to change all that with the Parker Solar Probe, the space probe that recently launched from Cape Canaveral, which will revolutionize our understanding of the Sun by entering it’s atmosphere (aka. the corona). Over the next seven years, the probe will use Venus’ gravity to conduct a series of slingshots that will gradually bring it closer the Sun than any mission in the history of spaceflight! 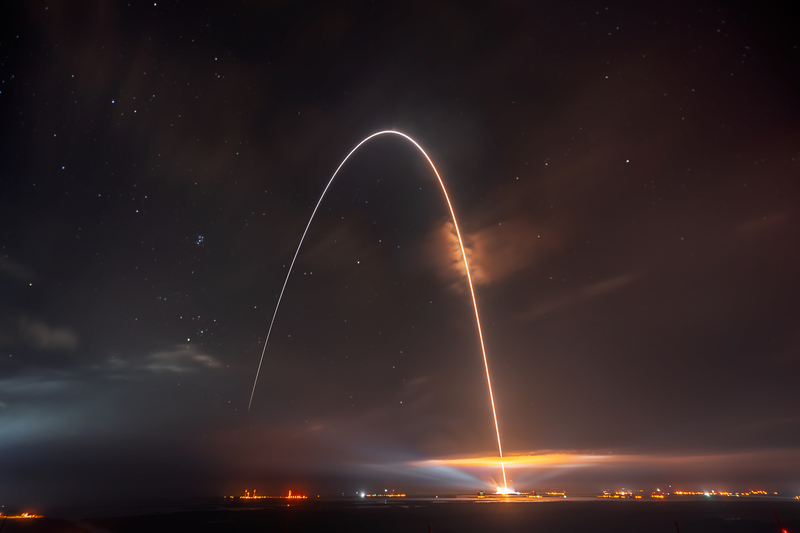 The spacecraft lifted off at 3:31 a.m. EDT on Sunday August 12th, from Space Launch Complex-37 at Cape Canaveral Air Force Station atop a United Launch Alliance Delta IV Heavy rocket. At 5:33 a.m., the mission operations manager reported that the spacecraft was healthy and operating normally. Over the course of the next week, it will begin deploying its instruments in preparation for its science mission. Once inside the Sun’s corona, the Parker Solar Probe will employ an advanced suite of instruments to revolutionize our understanding of the Sun’s atmosphere and the origin and evolution of solar wind. 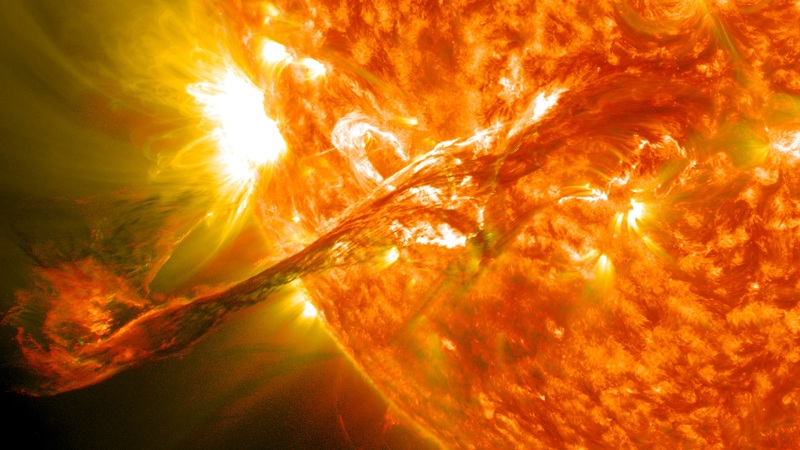 These and other findings will allow researchers and astronomers to improve their ability to forecast space weather events (such as solar flares), which can cause harm to astronauts and orbiting missions, disrupt radio communications and damage power grids. The Parker Probes mission certainly comes with its share of challenges. In addition to the incredible heat it will have to endure, there is also the challenge of simply getting there. This is due to Earth’s orbital velocity, which travels around the Sun at a speed of 30 km/s (18.64 mps) – or about 108,000 km/h (67,000 mph). Cancelling out this velocity and traveling towards the Sun would take 55 times as much energy as it would for a craft to travel to Mars. To address this challenge, the Parker Probe has been launched by a very powerful rocket – the ULA Delta IV, which is capable of generating 9,700 kN of thrust. In addition, it will be relying on a series of gravity assists (aka. gravitational slingshots) with Venus. These will consist of the probe conducting flybys of the Sun, then circling around Venus to get a boost in speed from the force of the planet’s gravity, and then slingshoting around the Sun again. Over the course of its seven-year mission, the probe will conduct seven gravity-assists with Venus and will make 24 passes of the Sun, gradually tightening its orbit in the process. Eventually, it will reach a distance of roughly 6 million km (3.8 million mi) from the Sun and fly through it’s atmosphere (aka. corona), effectively getting more than seven times closer than any spacecraft in history. In addition, the probe will be traveling at speeds of roughly 692,000 km/h (430,000 mph), which will set the record for the fastest-moving spacecraft in history. During the first week of its journey, the spacecraft will deploy its high-gain antenna and magnetometer boom, which houses the three instruments it will use to study the Sun’s magnetic field. It will also perform the first of a two-part deployment of its five electric field antennas (aka. the FIELDS instrument suite), which will measure the properties of solar wind and help make a three-dimensional picture of the Sun’s electric fields. 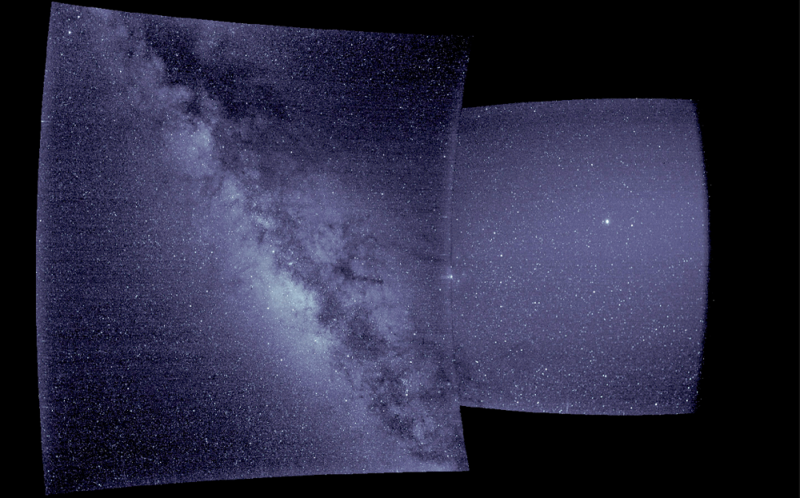 Other instruments aboard the spacecraft include the Wide-Field Imager for Parker Solar Probe (WISPR), the spacecraft’s only imaging instrument. This instrument will take pictures of the large-scale structure of the corona and solar wind before the spacecraft flies through it, capturing such phenomena as coronal mass ejections (CMEs), jets, and other ejecta from the Sun. There’s also the Solar Wind Electrons Alphas and Protons (SWEAP) investigation instrument, which consists of two other instruments – the Solar Probe Cup (SPC) and the Solar Probe Analyzers (SPAN). These will count the most abundant particles in the solar wind – electrons, protons and helium ions – and measure their velocity, density, temperature, and other properties to improve our understanding of solar wind and coronal plasma. Then there’s the Integrated Science Investigation of the Sun (ISOIS), which relies on the EPI-Lo and EPI-Hi instruments – Energetic Particle Instruments (EPI). Using these two instruments, ISOIS will measure electrons, protons and ions across a wide range of energies to gain a better understanding of where these particles come from, how they became accelerated, and how they move throughout the Solar System. Dr. Parker was on hand to witness the early morning launch of the spacecraft. In addition to its advanced suite of scientific instruments, the probe also carries a plaque dedicating the mission to Parker. This plaque, which was attached in May, includes a quote from the renowned physicist – “Let’s see what lies ahead” – and a memory card containing more than 1.1 million names submitted by the public to travel with the spacecraft to the Sun. Instrument testing will begin in early September and last approximately four weeks, after which the Parker Solar Probe can begin science operations. On September 28th, it will conduct its first flyby of Venus and perform its first gravity assist with the planet by early October. This will cause the spacecraft to assume a 180-day orbit of the Sun, which will bring it to a distance of about 24 million km (15 million mi). In the end, the Parker Solar Probe will attempt to answer several long-standing mysteries about the Sun. For instance, why is the Sun’s corona 300 times hotter than the Sun’s surface, what drives the supersonic solar wind that permeates the entire Solar System, and what accelerates solar energetic particles – which can reach speeds of up to half the speed of light – away from the Sun? For sixty years, scientists have pondered these questions, but were unable to answer them since no spacecraft was capable of penetrating the Sun’s corona. Thanks to advances in thermal engineering, the Parker Solar Probe is the first spacecraft that will be able to “touch” the face of the Sun and reveal its secrets. By December, the craft will transmit its first science observations back to Earth. Understanding the dynamics of the Sun is intrinsic to understanding the history of the Solar System and the emergence of life itself. But until now, no mission has been able to get close enough to the Sun to address its greatest mysteries. By the time the Parker Solar Probe’s mission is complete, scientists expect to have learned a great deal about the phenomena that can give rise to life, and disrupt it! The life cycle of our Sun began roughly 4.6 billion years ago. In roughly 4.5 to 5.5 billion years, when it depletes its supply of hydrogen and helium, it will enter into its Red Giant Branch (RGB) phase, where it will expand to several times its current size and maybe even consume Earth! And then, when it has reached the end of its life-cycle, it is believed that it will blow off its outer layers and become a white dwarf. Until recently, astronomers were not certain how this would take place and whether or not our Sun would end up as a planetary nebula (as most other stars in our Universe do). But thanks to a new study by an international team of astronomers, it is now understood that our Sun will end its life-cycle by turning into a massive ring of luminous interstellar gas and dust – known as a planetary nebula. Their study, titled “The mysterious age invariance of the cut-off the Planetary Nebula Luminosity Function“, was recently published in the scientific journal Nature. The study was led by Krzysztof Gesicki, an astrophysicist from Nicolaus Copernicus University, Poland; and included Albert Zijlstra and M Miller Bertolami – a professor from the University of Manchester and an astronomer the Instituto de Astrofísica de La Plata (IALP), Argentina, respectively. Roughly 90% of all stars end up as a planetary nebula, which traces the transition they go through between being a red giant and a white dwarf. However, scientists were previously unsure if our Sun would follow this same path, as it was thought to not be massive enough to create a visible planetary nebula. To determine if this would be the case, the team developed a new stellar, data-model that predicts the lifecycle of stars. This model also addressed an enduring mystery in astronomy, which is why the brightest nebulae in distant galaxies all appear to have the same luminosity. 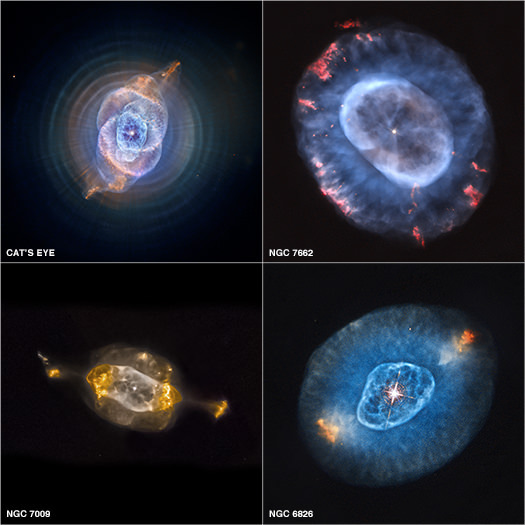 Roughly 25 years ago, astronomers began to observe this, and found that they could gauge the distance to other galaxies (in theory) by examining their brightest planetary nebulae. However, the model created by Gesicki and his colleagues contradicted this theory. In the end, this study and the model the team produced has some truly beneficial implications for astronomers. Not only have they indicated with scientific confidence what will happen to our Sun when it dies (for the first time), they have also provided a powerful diagnostic tool for determining the history of star formation for intermediate-age stars (a few billion years old) in distant galaxies. It’s also good to know that when our Sun does reach the end of lifespan, billions of years from now, whatever progeny we leave behind will be able to appreciate it – even if they are looking across the vast distances of space. Since ancient times, astronomers have organized the stars into various constellations. We have the Big Dipper (Ursa Major), Orion the Hunter, and his “Greater Dog” and “Lesser Dog”(Canis Major and Canis Minor). And those are just some of the better-known ones. But have you ever wondered if the Sun belongs to one of these collections of stars? The simple answer is that – in accordance with both ancient astrological tradition and modern astronomy – the Sun technically has no constellation. But if you were to change locations and travel to a new star system, you would then be able to view the Sun as we do other distant collection of stars. Unfortunately, depending on where you are, the answer would change. First, let us consider the astrological answer to this question. Unless you were born prior to the Scientific Revolution – during which time Nicolaus Copernicus proposed the heliocentric model of the Solar System – you know that the Earth revolves around the Sun. Over the course of a year, the position of the stars changes as the Earth’s position relative to the Sun changes. During the year, the Sun passes through each of the constellations of the Zodiac. For example, in August, the Sun is in Leo, and then in September, the Sun is in Virgo. Your astrological sign is based on this. What this means is that the Sun is part of each constellation of the Zodiac over the course of a single year, so it can’t be said to be in any single constellation. However, astrology is an obsolete and entirely unscientific practice. And if someone were to ask which constellation the Sun is in, surely they are seeking an answer that was astronomical (and not astrological) in nature. For that, we must consider what the constellations are in scientific terms. Since ancient times, astronomers and scholars have been keeping track of “asterisms” (aka. constellations) in the night sky. By definition, these are collections of stars that, when viewed from Earth, appear in the same general area as each other night after night. In reality, they are actually located in very different locations, and can sometimes be up to thousands of light-years away from each other. During the 2nd century CE, Hellenistic astronomer Claudius Ptolemaeus (Ptolemy) organized the constellations into a single treatise. This treatise, known as the Almagest, was the definitive source on Greek astronomy, and contained the names and meanings of the then-known 48 constellations. For over a thousand years, this work would remain canon for European and Islamic Astronomers. Thanks to the Scientific Revolution and “Age of Exploration” – ca. 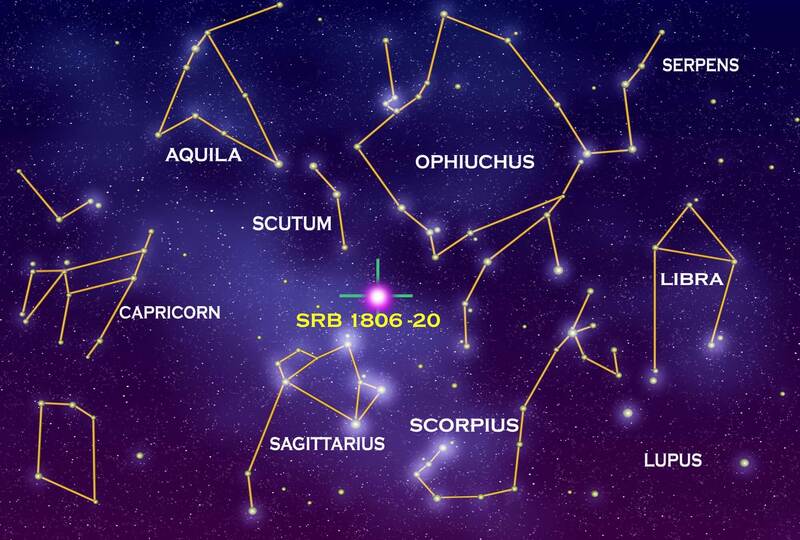 15th to 18th centuries CE – astronomers became aware of many more constellations. This was due to extensive overseas exploration, which brought European traders, explorers and waves of colonization to the Southern Hemisphere, East Asia and the Americas. By 1922, the International Astronomical Union (IAU) officially divided the celestial sphere into 88 constellations. Of these, 36 lie predominantly in the northern sky while the other 52 lie predominantly in the southern. While it would take years to work out the exact delineation between these constellations, and many corresponded to their Greco-Roman predecessors, these 88 modern constellations would remain in use until this day. However, these constellations divide up the night sky based on how it is viewed from Earth. Once again, our Sun cannot be considered to lie in any one of them because – relative to the Earth-bound observer – it passes through them. Alas, the only way to answer this question is to change our perspective. If you could move away to another star, then our Sun would indeed appear to be part of the background stars. For example, if you were to travel to a planet orbiting the nearest star to the Solar System – Alpha Centauri (aka. 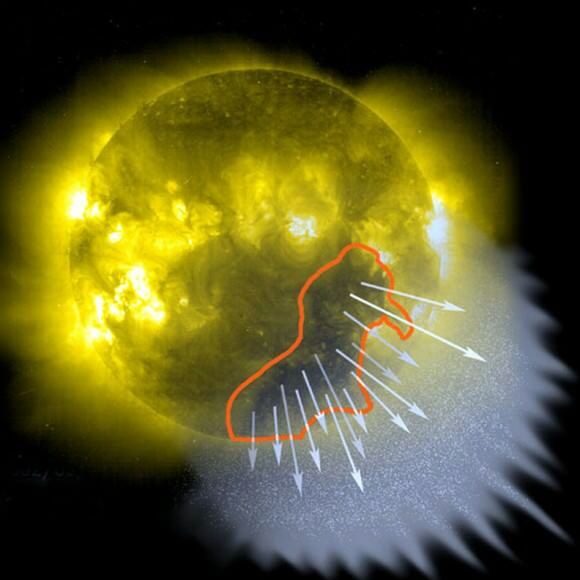 Rigil Kentaurus) – then the Sun would indeed appear to be part of a constellation. To be scientifically accurate, let us consider a planet that we actually know of. This would be the rocky extrasolar planet recently discovered around Proxima Centauri, which is known as Proxima b. Viewed from the surface of this planet, the Sun would appear to be part of the Cassiopeia constellation. However, rather than forming a W shape, our Sun would form a sixth point on its “western” end, making it look like a mountain chain (or a scribbled line). But if you went to a different star system, the Sun’s position would change, depending on the direction. As such, the Sun really isn’t in any constellation per se. But then again, none of the other stars that make up the Milky Way are either. Much like what Einstein’s Theory of Relativity teaches us about space and time, the constellations themselves are relative to the observer. We have written many interesting articles about the Sun and the constellations here at Universe Today. 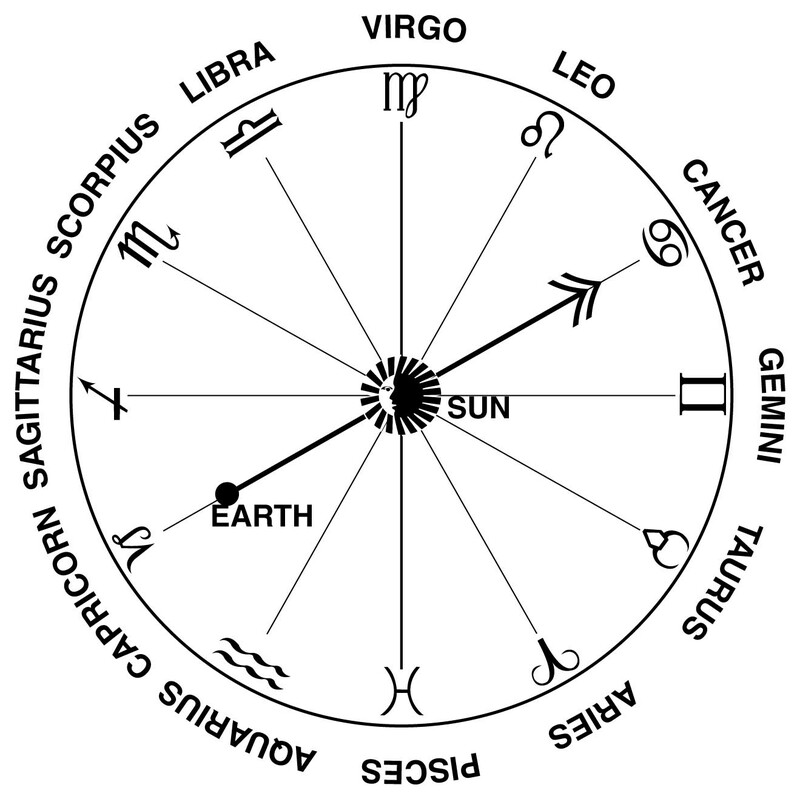 Here’s What are the Constellations?, Zodiac Signs and their Dates?, Where is the Sun?, and Earth’s Orbit Around the Sun. For more information on how our Sun looks from Alpha Centauri, be sure to check out this page from Learn Astronomy. SAnd here’s an article about all 88 recognized constellations. Astronomy Cast also has episodes on the subject. Here’s Episode 30: The Sun, Spots and All and Episode 157: Constellations. Learn Astronomy – How Would Our Sun Look From Our Nearest Star System?